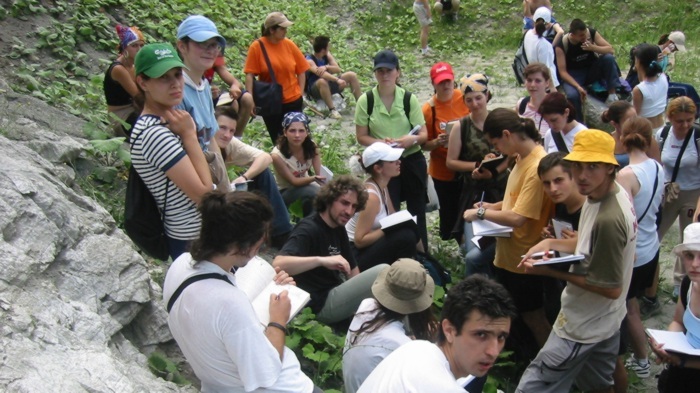 June 29 and 30, 2004, were great for field trips with undergraduate students in Geology and Geophysics. Our sophomores were taken in the field, in the Eastern or Southern Carpathians. 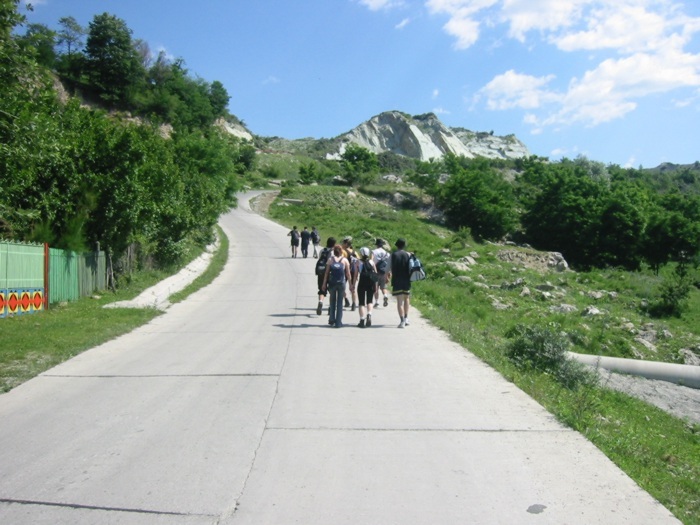 Prahova Valley, June 30, 2004, with students in Environmental Geology and Engineering Geology. On an excellent outcrop of Cornu Beds, Prahova Valley, June 30, 2004. Piatra Verde quarry, talking about gypsum. My colleague Zoltan Csiki and students. It's a long way to the top, if you wanna rock 'n roll (AC/DC). Piatra Verde quarry, June 29, 2004.